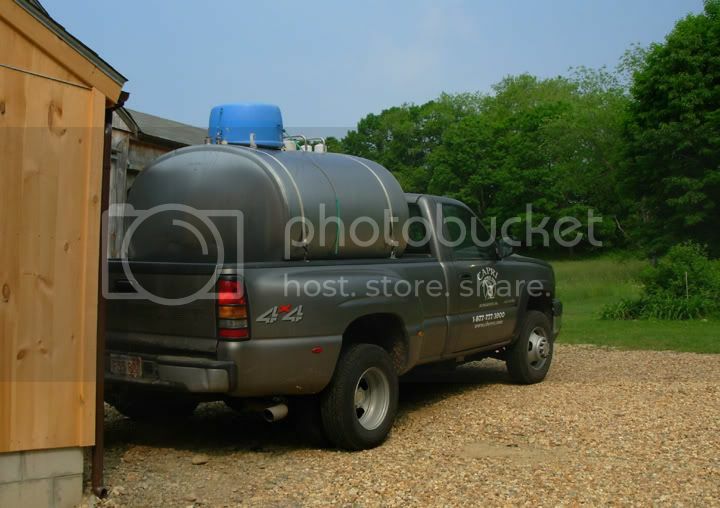 There are some appealling aspects to life in my part of Massachusetts. I don't usually think of them, as I wish I lived in a more urban area. But there are some nice little surprises. 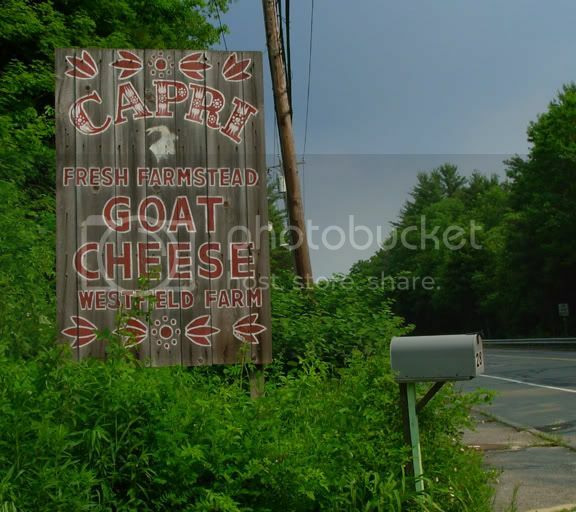 One of them is being near the company Westfield Farm) that produces Capri Goat Cheeses. 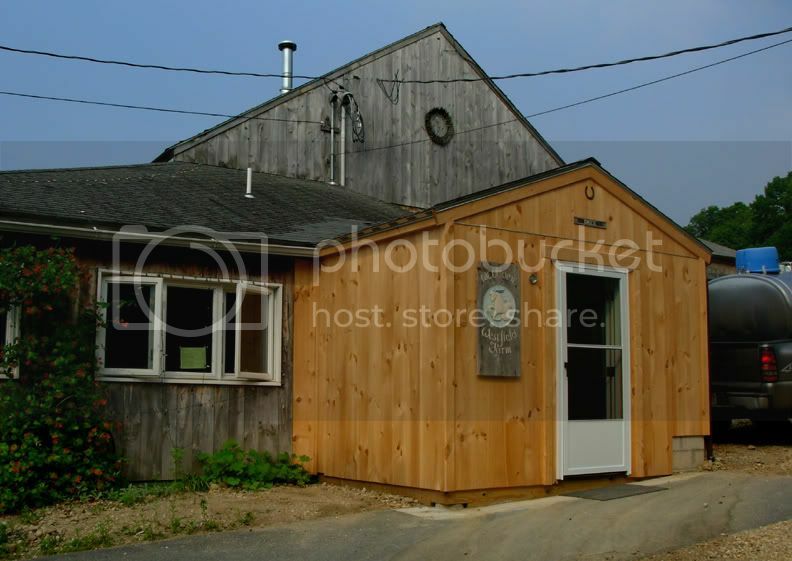 At the top of the driveway, you see their shop/factory. I asked them once where the goats were. They are actually in a town about an hour from here, Westfield. As I arrived on this particular day about a week ago, the milk was being delivered. 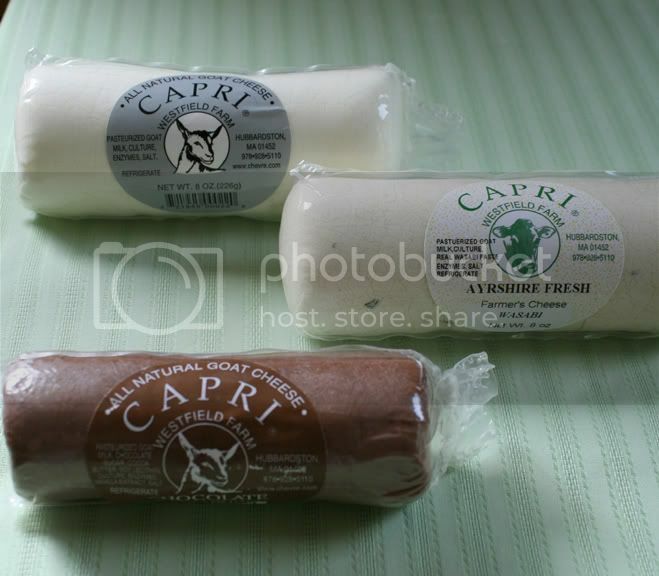 You may see their cheeses in specialty stores, but if you don't, you can order them at their yahoo merchant site! And you should try them! 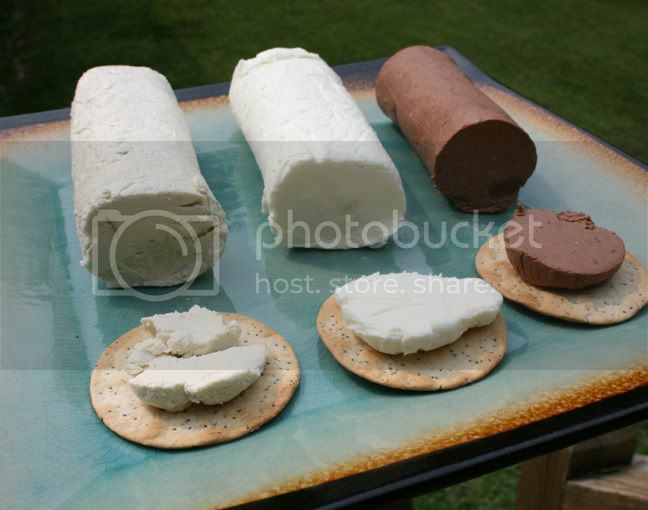 They have award-winning cheeses and offer a variety of interesting cheese flavors (blue goat cheese, white (similar to blue), camambert, wasabi, herb, herb garlic, hickory smoked, chive, pepper, and chocolate). If you aren't quite sure what to do with the different cheeses, you can look through the number of recipes they posted on their site on the home page, toward the bottom. I bought regular, wasabi, and chocolate! They are awesome! I can't recommend visiting their site and trying their cheese enough!